At SupplyHouse.com, we celebrate National Employee Appreciation Day in a big way! 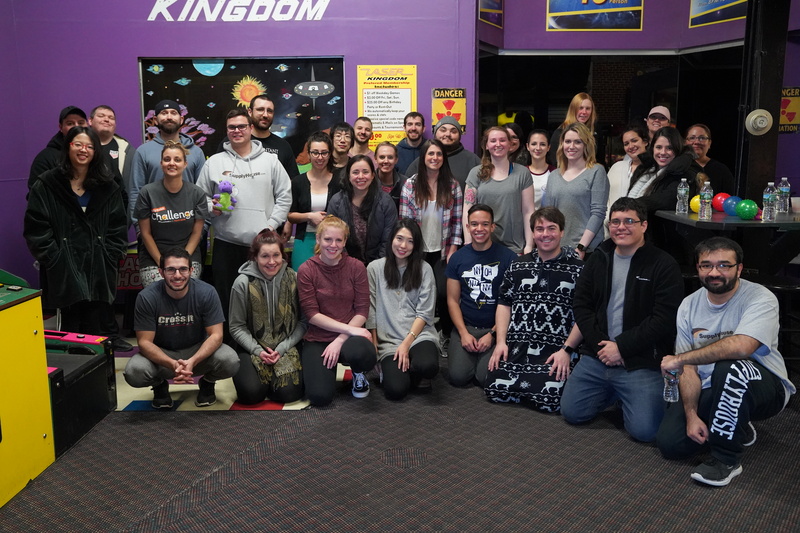 On Friday, March 1st, our New York office spent the day playing laser tag, bonding over arcade games, raffles, and more! Every person in the company received an invitation telling them about the day’s events, which spanned across the whole day. 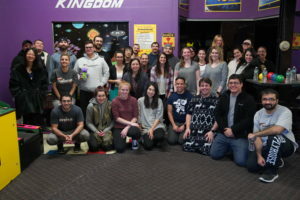 The office broke up into three groups of 40 people, and during each of their hour and a half time slots, they went over to Laser Kingdom to partake in friendly yet competitive games of laser tag! Back at the office, lunch was catered by Felico’s and was served by team captains. Later on, people dunked and dipped fruits, pretzels, and marshmallows in chocolate fondue fountains, and prizes were raffled off to wrap up the festivities. Overall it was a memorable day, and one that’ll be talked about for a while around the office! Although March 1st was Employee Appreciation Day, SupplyHouse.com appreciates the efforts of their employees every day. Our Nevada location celebrated on March 8th with an arcade and laser tag combo, catered Mexican food, an ice cream bar, and raffles. In Ohio, they celebrated the whole week of March 18th! Their activities included team building games, raffles, bowling, and Chipotle. And New Jersey also went bowling, catered Moe’s, had an ice cream station, and, of course, raffled off some cool prizes, all on March 21st and 22nd. Plus, our data team in Israel participated in a really cool surprise workshop on succulent terrarium design! They layered colored sand and pebbles on the bottom of their fishbowls, along with activated charcoal and soil, all in preparation of planting. Then each person got to pick three succulents to plant, and from there it was layer after layer of sand and pebbles to make a beautiful terrarium for their plants.